To the surprise of no one, chalkboard paint is exactly as it sounds: when you use it to paint a wall, that wall becomes a chalkboard. Got it? Got it. 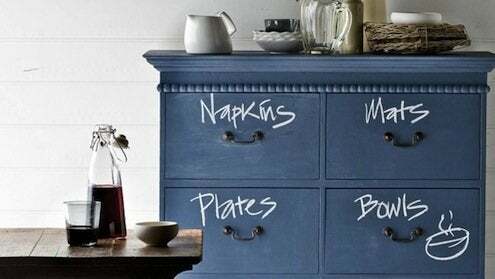 Except chalkboard paint can be used on virtually any surface, not just on walls. Here are ten clever, creative uses that can transform all sorts of items in your home. An old dresser becomes a well-organized sideboard with clearly labeled closed storage for the dining room and kitchen. This trick would work equally well in a kid’s room as a way of teaching young ones how to put away laundry. 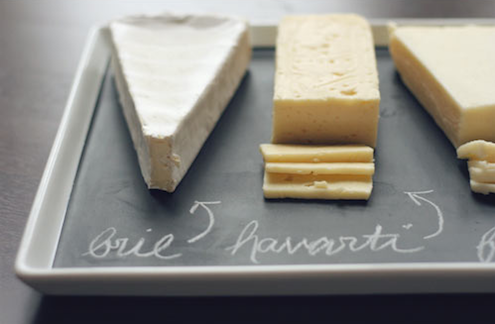 A discount store tray becomes a conversation-starting serving platter, featuring built-in customizable label options. 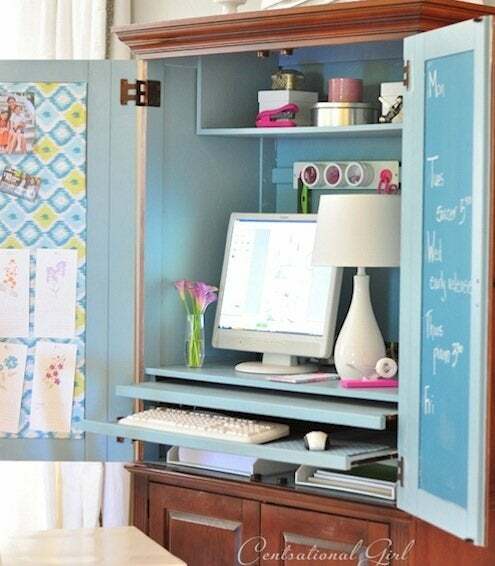 A dark and dreary armoire becomes a bright and colorful workspace, complete with chalkboard-painted door for jotting down ideas, lists, and notes. 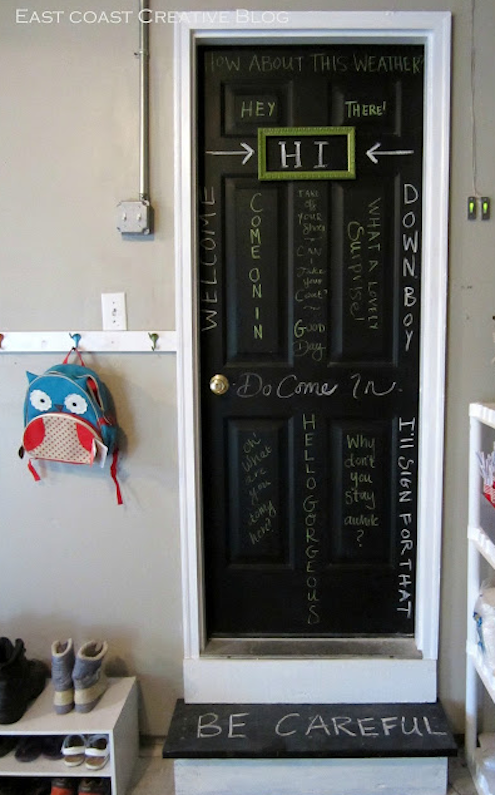 If painting the whole wall would result in a little too much chalkboard for your taste, consider painting one single yet endlessly variable element, such as door. 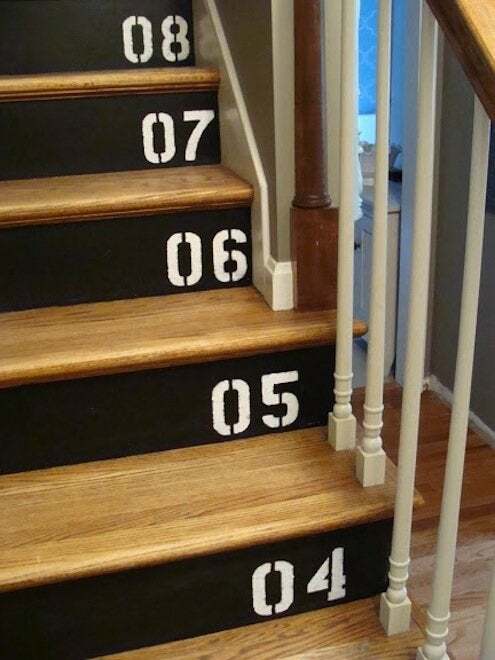 … Or accent a staircase with this how-to from Dream Home DIY. 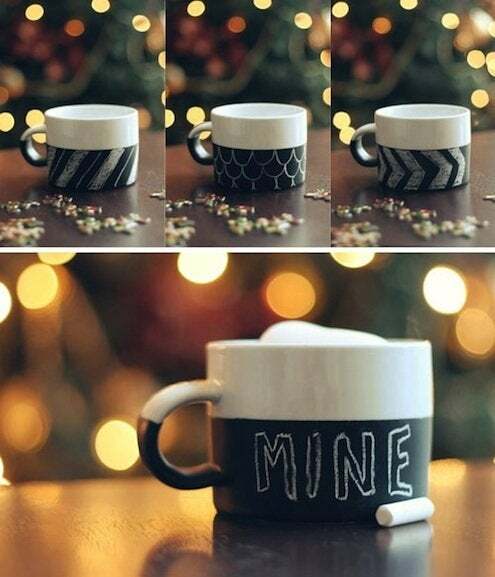 Make a set of DIY chalkboard mugs for your whole family to help everyone keep their mitts off each other’s hot cocoa! 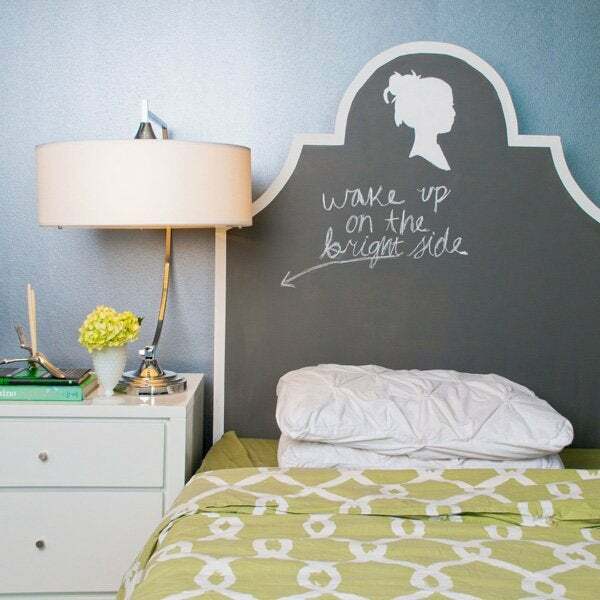 Maureen of The Inglenook Decor created this chalkboard headboard (chalkheadboard? ), which adds a sense of weight (and a good measure of whimsy) to a small bed. 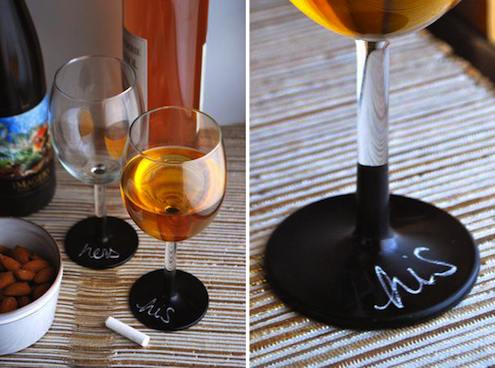 With chalkboard wine glasses, there’s no confusing whose drink is whose. 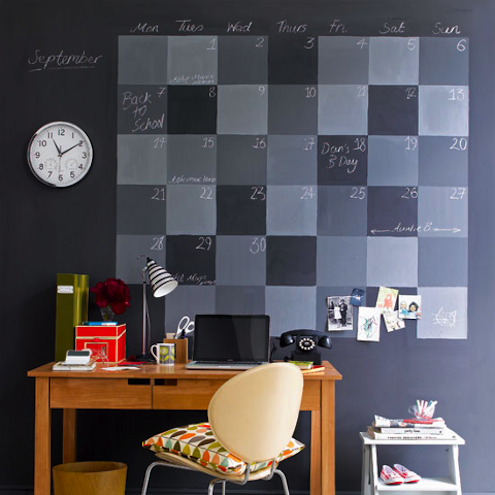 This large wall calendar from Martha Stewart Living mixes white and black chalkboard paint into a host of different shades for a graphic, geometric look. 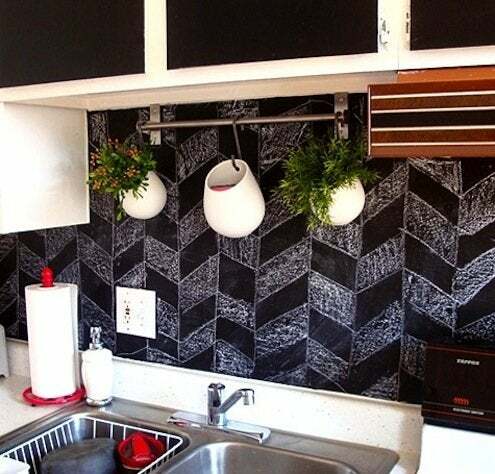 Lastly, a DIY chalkboard backsplash lets you draw your own “tile patterns” to match whatever your mood might be.